You are here: Home / Tuesday Tunings / What’s Effecting Your Appraisal of the Cross? What’s Effecting Your Appraisal of the Cross? 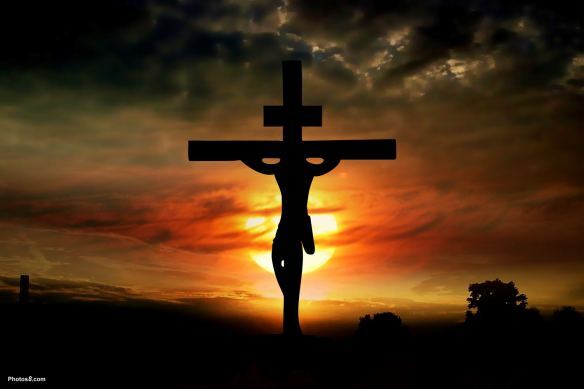 Before we begin, would you please take a few moments and look at the cross. As you do, ask the Holy Spirit to give you fresh eyes to see it, and all that it represents and symbolizes to you as a follower of Christ. Survey the cross. One of the reasons I love the hymns so much is because the writers chose their words so carefully. It may not have been quite so unusual in 1707 when Issac Watts used the word survey, but I believe it is an excellent choice still today. I asked you above to look at the cross first, then to survey it. But let us take a quick look at how much richer a word survey truly it. 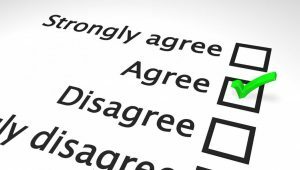 I must admit, when I think of the word survey in this context, the idea of forming or sharing my opinion or perspective never even crosses my mind, but it is a good place to begin. Different pronunciation, different meaning. In a sense I suppose Watts is stating his opinion and experience of the cross, and although it is a singular survey, it is a challenging, compelling and powerful one. So much so that it influences and shapes that of those who read and sing his text thoughtfully. Frankly though, this is just a beginning point. 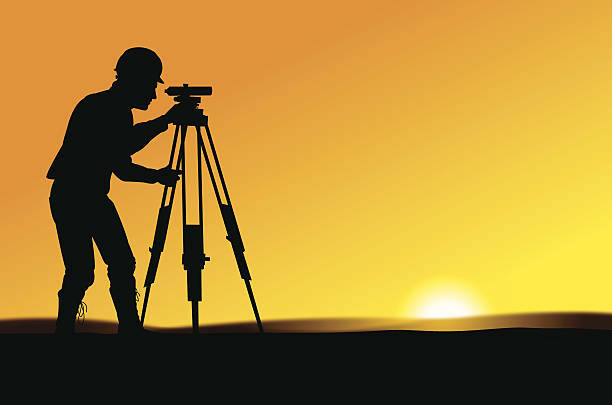 Silhouette background illustration of a land surveyor. 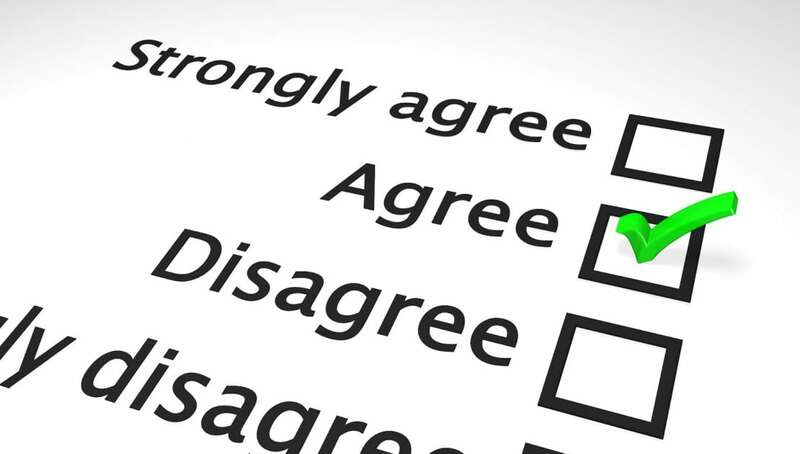 This is the image that first comes to mind for me when I see this word, survey. In it we begin to develop a different perspective as we consider the cross. Let’s consider the definition of this activity as found at Thought Co. In its broadest sense, the term surveying encompasses all activities that measure and record information about the physical world and the environment. The term is often used interchangeably with geomatics which is the science of determining the position of points on, above or below the surface of the earth. This definition intrigued me, not only because of the conciseness of the first part, but also the latter which referred to “on, above or below the surface of the earth” all three of which the cross has implications upon, not to mention the term geomatics, which was a new one to me. And so we arrive at the term as is used in the hymn. Survey, to look carefully and thoughtfully at the cross so as to appraise it. And that is not easy to do, for a couple reasons. First on which is that we have become so familiar with the cross that we think we have ascertained its full meaning. We wear it, decorate with it, and adorn our churches with it in attempts to keep this powerful symbol before us, but in so doing may suffer the unintended consequence of diluting the true power of what it represents. I pray as we journey through Lent and make our approach to Holy Week the Spirit will allow us to see the cross in a while new light, even as we declare again what mercy has done for us at it! And herein lies the second reason appraising the cross is not easy, our pride. As much as we know we desperately need the cross, we too often live as though we do not. Jesus invites us in Luke 9:23 to “deny (ourselves) and take up (our) cross daily” but we would often rather admire His. Contempt is the feeling that a person or a thing is beneath consideration, worthless, or deserving scorn. It is the last part of the definition that comes closest to what Watts is saying. This is a very strong statement, and appropriately so. It is exceedingly so when juxtaposed with the wonder that fills our hearts when we survey the cross, and at the same time still opposes it. What fills you with pride? Or better yet, how does pride slowly seep into your life? Are you aware of the gateways? Even that which at the surface is not a bad thing, like the ability to sing, can become a hindrance if we derive our identity from it. Imagine this image is coffee. Now imagine it is laced with acid. That changes it, doesn’t it? That is effectively what pride does to everything it touches. So Watts, filled with wonder at the sight of the cross, determines to pour scorn on his pride, and we should purpose to do the same. I asked above, but would encourage you to take a quick inventory of what might invite pride into your life, and be on guard against it by pouring scorn on it whenever your appraisal of it competes with your appraisal of the cross. We will do a little more of this on Thursday, but tune your heart today with this in mind. Jesus, thank You for giving me the ability to see Your cross for what it is, a wonderful expression of Your love for me. Help me to survey it rightly and nail my pride to it regularly. Help me tune my heart today with an awareness that my pride will mar my ability to see and respond to Your cross today, and make the necessary adjustments as I go through this day. In Jesus name. Amen. Finding some help here tuning? Sign-up in the box in the sidebar to get updates of new tools to help you be Resonant. Please comment below and share if you have found this helpful in your journey of being more resonant. Below is content available only to Subscribers. Want to learn more about accessing all the additional material in the Subscriber Content Library, click here, or the Free Member Content Library with some examples of the Subscribers content, click here. Subscribers, enjoy this video log! Everyone else, the transcript below. Welcome to Tuesday Tunings at Resonant 7, where we reflect on the reality of God and resolve to let it resound in our lives, repeatedly. Let’s tune our hearts. Survey is a bit of an unusual word as it’s used here, but it’s perfect. When we look carefully and thoroughly at the cross to appraise it, it is indeed wonderful. Thank God for the capacity to survey the cross. Because of who He is, Jesus should never have had to die. Because of who He is, Jesus knew His was the only life that could be offered as a substitutionary sacrifice for our sins. Thank Him. Only His death could atone for sin, and in so doing it renders everything we could ever attain or possess as comparably worthless. Ask Jesus to help you see everything accordingly which you might otherwise be tempted to do to earn His grace. Oh for the ability to view my personal achievements beneath consideration, worthless, and even deserving of scorn that I might rightly see the wonder of His love for me displayed on the cross. Help me Lord. Take a few moments to talk to Jesus about what has surfaced in your heart, or just listen to what He is saying to you, then we will sing once more. Take the awareness of God’s presence cultivated in these last few minutes into the next ones and beyond. Until next time, be Resonant.